We are open 7 days 7.30 am to 6.00 pm, weather dependent. Please call us on 07 386 8658 outside these hours. Pick up gear the afternoon before from Turangi Ski at no extra charge. Personalised fitting of ski boots. We are a family focused ski hire, and have 4 age group tiers of rental pricing. We offer anytime, seasonal, group, and half day pricing. Our pricing is competitive. We discount multiple consecutive days. We have safety checks for both crew and customers. Rental forms give equipment fitting explanations. All safety aspects are verbally explained at the time of hire. Turangi Ski is committed to a safe environment for our crew and customers. Tongariro National Park is the oldest national park in New Zealand, located in the central North Island. UNESCO has acknowledged it as one of the 28 mixed cultural and natural World Heritage Sites. Mt Ruapehu Whakapapa & Turoa Ski Areas offer excellent skiing and snowboarding experiences. Whakapapa Ski Field is located on the northwestern slopes of Mt Ruapehu. A lesser known gem is Tukino Ski Field on the eastern side, of Mount Ruapehu, As long as you have a four wheel drive vehicle and want to experience the adventure of riding nutcracker rope tows, then this field is for you! Turangi is the gateway to the Tongariro National Park so a perfect place to begin your winter holiday! Located at the start of the gateway to the Tongariro National Park, North Island, New Zealand. We are close to three great ski fields – Whakapapa, Turoa and Tukino. 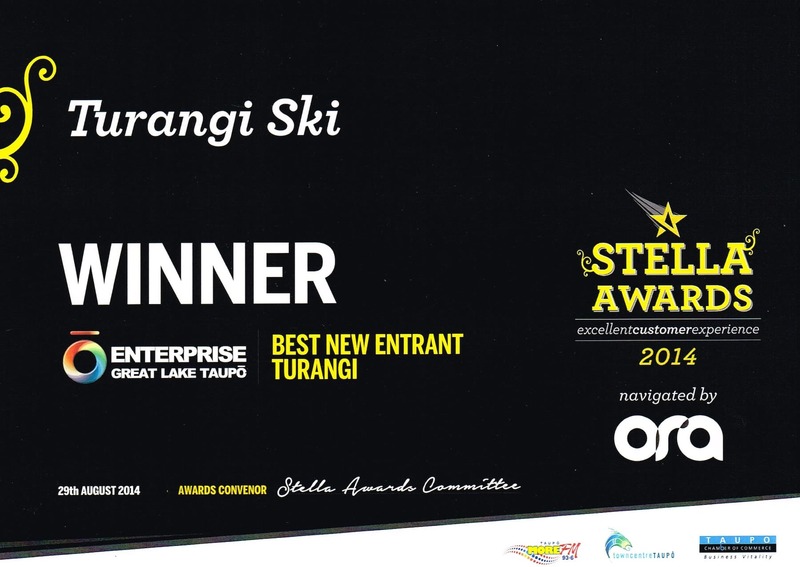 Here at Turangi Ski we are fully committed to providing top equipment, award winning customer service and visitor information. Don’t stick with the same old same old, the ski’s that have sat in the back of the garage until winter comes around. Why not try out gear for a change? Are you tuning your old skis after a day on the slope? Are you doing it at all? That’s maybe why you are not getting the performance you expect. Take the convenience and enjoyment of being on gear from our fleet. If you feel like going to the next level then Turangi Ski has twin tip skis, performance skis. New boots, like skis, are more advanced than ever before. Lightweight and flexible, our rental ski boots will add to the enjoyment of your day. If you’re skiing and boarding skills are improving talk to us about performance gear. We have quality crew who are trained & knowledgeable about our equipment. Our goal is providing you with the correct gear for your day so you come back to us with awesome memories – it’s about the whole experience! Open from 7:30 am to 6:00 pm, weather dependent. Please phone 07 386 8658 outside these hours. 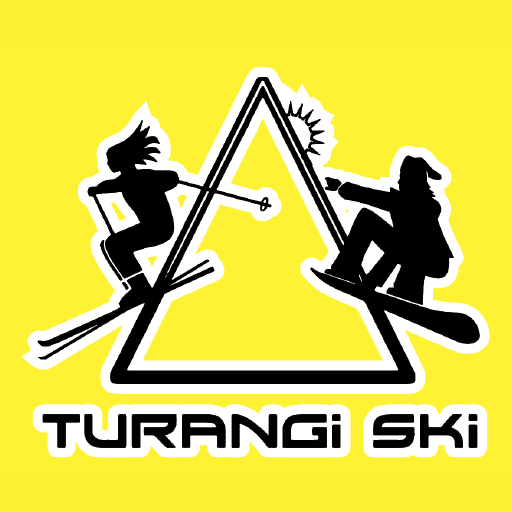 Turangi Ski has evolved over the time that we’ve been part of it, combining our passion for winter sports and our award winning customer service. We have a vibrant team that works hard to create a positive start to your day in the snow. We feel we’ve married all of that together to create the ‘best little ski shop’ to service the Tongariro National Park. We listen to what you require and what level you are at, we make suggestions and use that combined knowledge to get the best equipment for your needs. We provide personalised fitting of ski boots (only retail stores do that!). We are family focused and provide four age group tiers for rental pricing. Because we know that pricing is important, when taking a family to the mountain. We prefer setting up the little ones first, while the adults are dealing with the administration process. And we know how exciting it can be for youngsters to visit the snow. We’ll do everything we can to ensure your rental experience is streamlined. Skiing is the next best thing to having wings. We have a wide selection of skis and snowboards available for rental. Please note that they are available on a first come first served basis. We try to accommodate all specific reservation requests if possible. We have equipment for all ability levels. Our workshop crew keep all our gear in tip top condition. Our Ski and Snowboard Packages are suitable for beginner to intermediate skiers. The High-Performance boards and skis are recommended for advanced skiers. Turangi Ski is proud to offer you some of the best ski brands – Atomic, Elan Salomon, Rossignol, Nordica, Blizzard. Beginner, Intermediate and Advanced skiers we’ve got you covered. Our Ski Boots come in the following brands – Dalbello, Nordica, Fischer, Rossignol, Atomic, Salomon and Elan. Turangi Ski has sourced the best snowboards for their rental equipment. We are proud to offer quality snowboards from Burton, Drake, Freestyle, Elan, our Snowboard boots are Burton, Salomon and Atomic. Turangi Ski has a selection of clothing from the following brands, for hire – Kaos, Aggression, Sinner, Snowclothes, Terrainlife, Proscource. As well as poles, googles, walk boots, wrist guards, sleds are more. Our clothing and boots are sanitised after each use. The weather on our mountain changes rapidly, the weather you are seeing on your mobile or tablet at the bottom of the mountain, may have deteriorated by the time you reach the ski field. Please be prepared. Take extra clothing, goggles for foggy conditions and tell people where you are going. We want you back safe and sound at the end of the day!